These General Terms exclusively govern the relationship between jazzandrecords.de - exquisite jazz & world music (hereinafter referred to as jazzandrecords.de) and jazzandrecords.de customer (hereinafter referred to as „Customer“). Divagating terms and conditions of Customer shall in no event be acknowledged to apply, unless agreed to apply by a written instrument by jazzandrecords.de in advance. Customer’s order is not accepted, in the event Customer has not accepted these General Terms. By placing an order for the respective goods via Internet, e-mail, telephone, or via mail, Customer offers on a binding basis to enter into a purchase agreement with jazzandrecords.de. When placing an order via Internet, Customer will receive a receipt confirmation e-mail. This confirmation e-mail shall in no event be deemed an acceptance of Customer’s offer to enter into a purchase agreement, but merely confirms the receipt of Customer’s offer. The purchase agreement shall only be deemed concluded upon Customer’s receipt of the order confirmation or the handing out or delivery of the respective goods. Any product descriptions included in the website are for information only and shall in no event constitute a formal guarantee. In respect of any product advertised on our website (in the following “Product”) mistakes as to the status, the price and/or any other attributes or qualities in connection with the Product are reserved. In the event of mispriced items and/or miscalculation of prices, in particular in connection with delivery costs, delivery hindrances on behalf of our service providers, jazzandrecords.de shall be entitled to rescind the purchase agreement. jazzandrecords.de has no obligation to enter into the purchase agreement and the Product is available on an “as is” and “as available” basis only. jazzandrecords.de hereby reserves the right to exclude certain countries from the delivery of Product. Delivery shall be made only to the extent regular for the end consumer. Deliveries in the excess of such amount require prior written agreement. jazzandrecords.de delivers throughout the Germany, Switzerland, all of Europe and most of the World. Unless agreed to the opposite, delivery shall be made to the address provided by Customer. jazzandrecords.de delivers according to standard industry price. jazzandrecords.de determines the way of transport and means of transport, unless specific form of transportation has been requested by Customer and Customer bears the respective additional costs. Delivery dates are not binding. In the event of non-availability of any Product so ordered by Customer, jazzandrecords.de agrees to immediately inform Customer of such non-availability and shall immediately reimburse the respective purchase price if payment has already been made by Customer. In the event delivery cannot be accomplished due to reasons in Customer’s sphere, such as in the event the Product fits not through the Customer’s entry, house entry, staircase and/or in the event Customer’s no show at the respective place of delivery provided by Customer despite confirmation of the date of delivery has been provided to Customer in reasonable advance, Customer shall be responsible for the payment of the in vain delivery. 1. Costs payable in respect of an order shall include the purchase price of the ordered goods plus delivery costs. 2. All prices are in Euro (EUR). In respect of the delivery within Germany and delivery within the European Union (EU) the prices include VAT according to § 1 paragraph 2, sentence 2 UStG (German Act on Value Added Tax), in the event such delivery is taxable. Prices at jazzandrecords.de. (tax free) The delivery from Germany to countries not being member states of the EU may require additional customs duties, not subject to jazzandrecords.de discretion. 3. For further shipping details see our actually shipping and returns conditions. Payment in connection with orders from Germany, Switzerland and EU countries and all others countries made via Internet shall be made by payment in advance or credit card (like paypal or clickandbuy). After placement of the order, the respective amount shall be charged to Customer’s account or credit card. In the event of late payment by Customer, jazzandrecords.de shall be entitled to interest at the per annum rate of 5% above the discount interest rate of the European Central Bank. In the event jazzandrecords.de can prove damages in excess hereof, jazzandrecords.de shall accordingly be entitled to request such damages. Ownership of delivered Product is retained by jazzandrecords.de until full payment. 1. jazzandrecords.de’s warranties for defects shall be in the extent as provided for by the pertinent laws and statutes unless otherwise limited according to the following. Customer shall notify jazzandrecords.de within no later than two (2) weeks after appearance of the defects. In the event such notification has not timely been made, any warranty for defects shall lapse. The immediately aforesaid shall not apply in the event of malicious non-disclosure of any defects by jazzandrecords.de or in the event jazzandrecords.de has provided a guarantee in connection with the Product. 2. The warranty period is limited to two (2) years, such period commencing at the date of the passing of the risk in the Product. In the event of the delivery of used Product the warranty period shall be limited to one (1) year, such period commencing on the date of the passing of the risk in the Product. The aforementioned in this sub-clause 2 shall not apply in the event of any claims for damages against jazzandrecords.de as a result of defects. Claims for damages in connection with defects are subject to § 9 below. 3. Guarantees in a legal meaning are not given by jazzandrecords.de. 1. jazzandrecords.de shall be liable for damages only in case of intent and gross negligence. The above mentioned exclusions or respective limitations of liability shall not apply to claims in connection with injuries of life, physical integrity or health and damage caused by delay (§ 286 of the German Civil Code (in the following “BGB”) and any breach of such obligation of which the observance is of essential importance for the purpose of the contract (essential obligation). Under such circumstances jazzandrecords.de shall be liable for any degree of fault. 3. In respect of damages not connected to injuries of life, physical integrity or health for which liability for slight negligence shall not be excluded, the respective claims shall become statute barred within one (1) year, such period commencing on the date of the coming into existence of such claim. 4. As far as the liability of jazzandrecords.de is excluded or limited, this shall also apply to the personal liability of jazzandrecords.de’s employees, workers, staff members, representatives and vicarious agents. Further claims in favour of Customer - irrespective of the legal grounding - shall not apply. jazzandrecords.de shall not be liable for lost profits and/or any other pecuniary loss of Customer. Notwithstanding § 195 BGB, „Jazz And Records" claims shall become statute-barred after five (5) years. The period of limitation begins to run according to § 199 BGB. jazzandrecords.de shall keep confidential personal data collected from Customer. The Customer hereby agrees that jazzandrecords.de may use the information and personal data provided by Customer for purposes of processing and storing and using such information and personal data in connection with processing of the orders, the delivery of Product and verification of the payments, as well as the communication with the Customer in respect of the deliveries, the Product and marketing offers. The collected data will be provided by jazzandrecords.de to third parties, only in the event such third parties provide services to jazzandrecords.de in connection with the aforementioned services. In order to prevent the misuse of personal data, jazzandrecords.de applies the security software SSL (Secure Socket Layer) in connection with the delivery of personal data via the Internet. German law shall apply; application of the United Nations Convention on Contracts for the International Sale of Goods (CISG) / UNCITRAL is expressly excluded. The content (such as text, pictures, graphics, audio-, audio-visual, and animation recordings and the compilation thereof) of the website of jazzandrecords.de. KG are protected by Copyright Law and other laws and regulations. Such protection equally applies to data banks and similar configurations. Unless approved by jazzandrecords.de, the content of this website may not be used, including for purposes of reproduction, distribution, derivative use and/or making available to third parties. 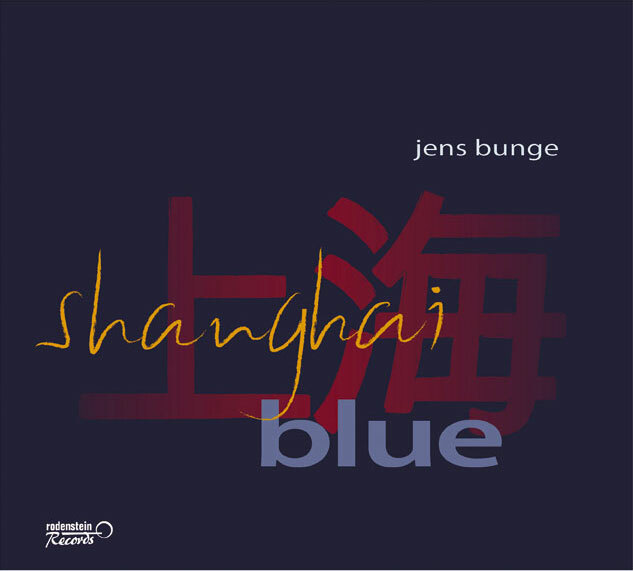 Copyright 2008 jazzandrecords.de. All rights are reserved. The invalidity or unenforceability of any provision of General Terms shall not affect the validity or enforceability of any other provision hereof.